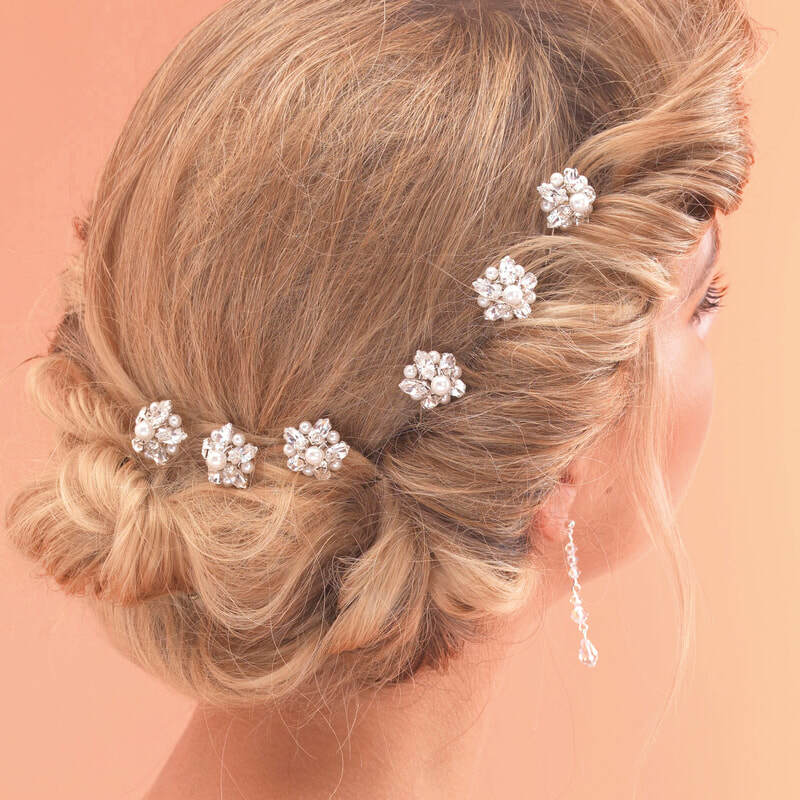 The perfect finishing touch for an elegant vintage bridal look. Clusters of 5 marquise set diamantes are wired together with pearls by hand to form these stunning Deco style star hairpins. Model wears ARP006 in Silver with Ivory Pearls. 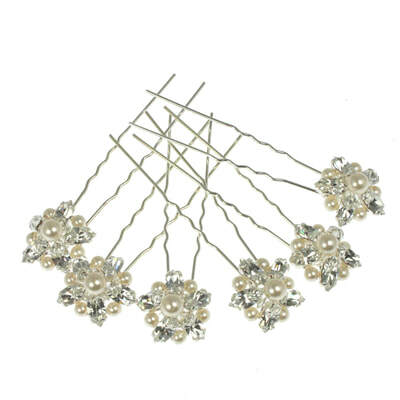 Shown with ARE086 Earrings.